Do you live in Winter Haven? Winter Haven is a city in Polk County, Florida, United States. The population was 33,874 at the 2010 census. According to the U.S. Census Bureau's 2013 estimates, the city had a population of 35,531, making it the second most populated city in Polk County. It is a principal city of the Lakeland−Winter Haven Metropolitan Statistical Area. Motto: "The Chain of Lakes City"
According to the United States Census Bureau, the city has a total area of 25.4 square miles (66 km2). 17.7 square miles (46 km2) of it is land and 7.7 square miles (20 km2) of it (30.45%) is water. Winter Haven is located within the Central Florida Highlands area of the Atlantic coastal plain with a terrain consisting of flatland interspersed with gently rolling hills. It has an average elevation of 146 feet (45 m) above sea-level. 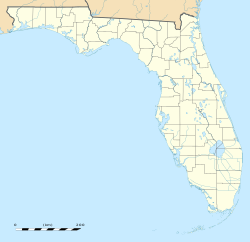 The city is located at the headwaters of the Peace River (Florida). As of the 2010 census, Winter Haven was 55.6% white, 28.2% black, 12.5% Hispanic, 2.5% Asian. As of the census of 2000, there were 26,487 people, 11,833 households, and 6,934 families residing in the city. The population density was 1,498.3 inhabitants per square mile (578.4/km²). There were 13,912 housing units at an average density of 787.0 per square mile (303.8/km²). The racial makeup of the city was 97.51% White, 1.96% African American, 1.02% Asian, 0.19% Native American, 0.04% Pacific Islander, 1.87% from other races, and 0.22% from two or more races. Hispanic or Latino of any race were 0.14% of the population and 0.001%. There were 11,833 households out of which 21.6% had children under the age of 18 living with them, 42.1% were married couples living together, 12.8% had a female householder with no husband present, and 41.4% were non-families. 36.0% of all households were made up of individuals and 18.9% had someone living alone who was 65 years of age or older. The average household size was 2.17 and the average family size was 2.81. In the city the population was spread out with 20.9% under the age of 18, 6.8% from 18 to 24, 23.5% from 25 to 44, 21.4% from 45 to 64, and 27.4% who were 65 years of age or older. The median age was 44 years. For every 100 females there were 85.1 males. For every 100 females age 18 and over, there were 81.2 males. The median income for a household in the city was $31,884, and the median income for a family was $39,657. Males had a median income of $30,943 versus $21,812 for females. The per capita income for the city was $20,383. About 10.5% of families and 15.0% of the population were below the poverty line, including 24.2% of those under age 18 and 7.9% of those age 65 or over. Public schools in Winter Haven are operated by Polk County Public Schools. Rachel's School for the Custodial Arts.